Girl is NOT a 4 Letter Word: RSVP For Poseiden's Ladies Day At The Berrics. 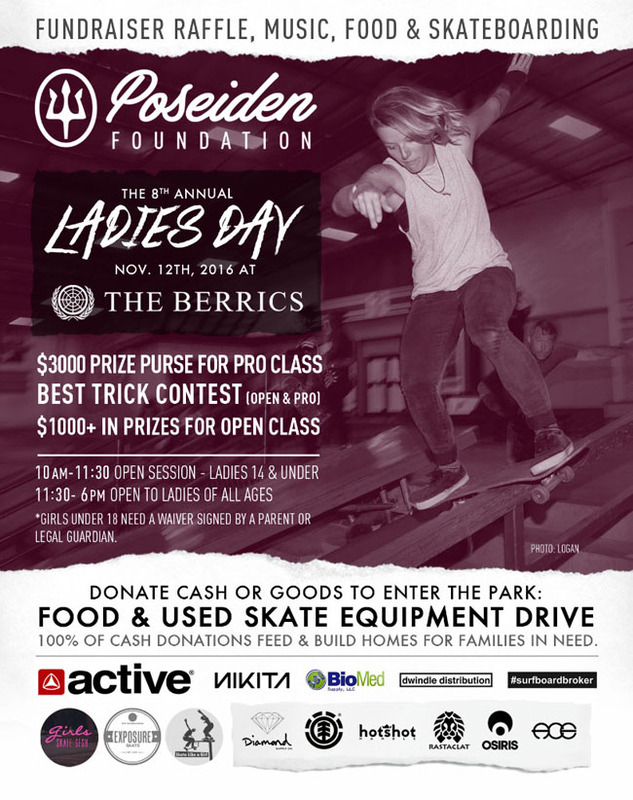 RSVP For Poseiden's Ladies Day At The Berrics. *All proceeds go towards feeding and building homes for homeless families. We are calling out all skater girls ! Poseiden Foundation and The Berrics want to see your talent ! This year we changed the contest format, added a Pro Division Best Trick $3,000 Prize Purse, Open Class and 13-under Best Trick 1,000+ in Prizes! 🎉 Poseiden Foundation with The Berrics have increased the amount of #sponsors donating towards this year's awesome prizes and giveaways!